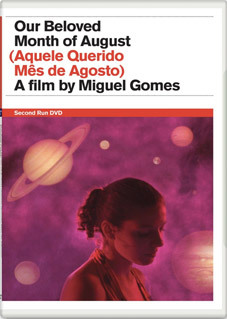 Our Beloved Month of August (Aquele Querido Mês de Agosto) is a tantalizing mix of documentary, fiction and everything in-between, Miguel Gomes' multi-award winning film is his intoxicating love song to rural Portugal... and to cinema. Intricately structured and beautifully filmed, Gomes creates a narrative that slowly and craftily emerges into the sunlight from under its documentary canvas, through the entrancing use of visuals, sound and music. Described by Sight & Sound as "A hybrid work of bewitching perversity... a tender and perceptive portrait of a richly ordinary enclosed world," Our Beloved Month of August will be released on UK DVD by Second Run on 26th September 2011 at the RRP of £12.99. 16-page booklet featuring a new essay by Kieron Corless, deputy editor of Sight & Sound.